money: Like any other career change, it is very frightening to let your salary go. Even if it might be an insufficient one, it is still difficult to let go of your guaranteed income. Most pastors have no idea how they will provide support for themselves and their families if they leave. family: Especially if your family is Christian, they had so much pride in the fact that you were “serving the Lord“. Pastors will anticipate a great deal of disappointment from their families when they walk away from this very special calling that so many people took such delight in. 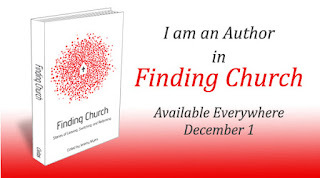 self: When pastors get ordained, they, like me, vow that they will never, ever give up. They swear that they will serve the Lord and the church until death. To even think about surrendering this induces an incredible amount of personal shame. theology: I always took great comfort from scriptures such as, “Run the race. Fight the good fight.” These passages helped me in the worst of times to persevere. To quit the ministry evokes enormous feelings of spiritual failure. vocation: Almost all the pastors I have known are very specially trained. They have focused their whole lives and educations on theology and ministry to others. It is feared that to walk away from the only job that employs these skills is to expose oneself to a completely unmarketable and unemployable position. Usually it requires retraining, which in itself is too daunting to face. congregation: To leave the ministry is to walk away from the congregation that the pastor has served. It can feel like abandoning your family. In fact, some might accuse the pastor of being a false shepherd who abandons the sheep. To anticipate this painful separation is excruciating. enemies: Those who have questioned, ridiculed or even opposed the pastor’s ministry will suddenly have all the ammunition they need to say, “I told you so!” I’ve heard many times that leaving the ministry was proof that I shouldn’t have been a pastor to begin with. It feels like throwing in the towel, and there are people who love to cheer that demonstration of surrender. meaning: To leave most jobs doesn’t bear the weightiness that leaving the ministry does. Leaving the ministry carries an existential significance that shoots a resigning pastor into the darkest of nights because, as most pastors sense, their job wasn’t just a job, but an extension of their spiritual selves. Ministry is the expression of their convictions, and to leave the job appears to be the desertion of these core convictions. waste: All pastors are taught and believe that they are planting seeds. They toil year after year with faith that one day their labor will bear fruit. 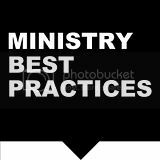 To consider leaving the ministry is to consider relinquishing the garden and to leave it untended or under the care of another who doesn’t share the same commitments. All that work is gone to waste without any chance of sharing in the harvest, if it ever comes. friends: When pastors leave the ministry, they leave friends. 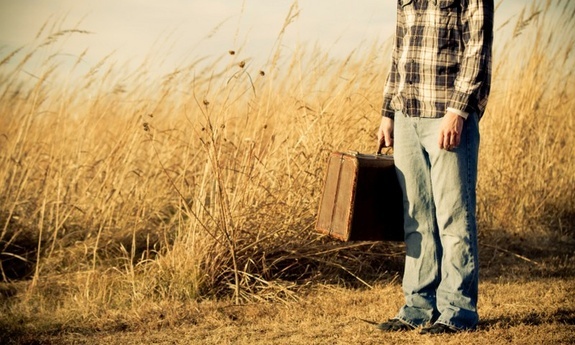 For one, they are walking away from their peers in ministry. They are quitting that team. But they are also walking away from people they’ve served through their births, baptisms, marriages, divorces, deaths, tragedies and spiritual pilgrimages. They are saying farewell to people they have loved in very significant ways, intuitively knowing that walking away from the community network will also endanger their chances of that ever happening again. What do you think? How does a pastor reconcile these tensions and pressures? What about people who have trained for full-time vocational ministry and have completed two graduate degrees but cannot get into pastoral ministry? That is certainly the other side of the coin...pastors who aren't engaged anymore or don't want to be in ministry need the courage to move on to another place within call call (and not cling to ministry merely out of fear) so that others may take up that call.